They developed to produce a sulfur based chemical defense system . They are incendiary in the sense that they can do harm and they delight. 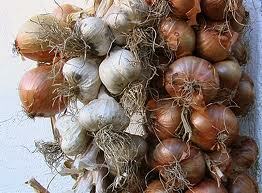 They came from smelly and yet indispensable allium family. 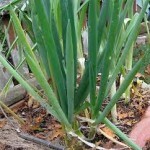 Their sulfur based unique defense system give the alliums their distinctive flavors. They deploy them when their tissues are breached by biting, crushing or cutting. The chemicals are highly irritating, and discourage most creatures from coming back. 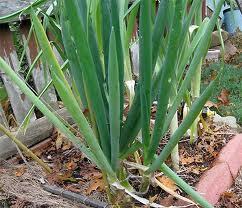 They kill microbes and repel insects. 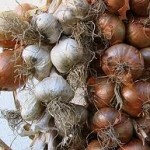 Any cook knows that chopping alliums release chemical that sting. Eric Block, for over 40 years worked on allium chemistry at the State University of Albany, explains that different alliums stockpile different sulfur chemicals to create their weapons and this accounts for their varying flavors. Mixed evidence for allium efficacy were carefully evaluated by researchers and explicates the chemistry and treatment of garlic breath. It can emanate from deep within for a day or more. Onions, shallots, scallions and leeks produce a small sulfur molecule that launched garlic itself from the damaged tissue and attacks our eyes and nasal passages. This long distance weapon is called the lachrymatory factor and it’s extremely potent. According to Dr. Block, the only tiny amounts get anywhere near your face when you cut onions is enough to make you tear up. Its pure compound when smelled is overwhelmingly painful, like being punched in the eye socket. However, the heat of cooking make their potent weapons short lived thus eliminating entirely their pungency and transform them into new delicious and palatable delight.